The Treasury Department has been working on redesigning its federal spending data website?USAspending.gov?and is eager to get public input on how well it’s doing. This week, the Treasury Department called for comments and ideas from the public on how to improve USAspending.gov. The comments are to be shared via a new website, OpenBeta.USAspending.gov, and will be used to guide needed improvements to USAspending.gov, expected to be complete by 2017. The call for comments on USAspending.gov follows a roundtable hosted Nov. 10 by the Treasury Department and the Center for Open Data Enterprise, exploring ways to increase public access and use of federal spending data. The meeting and the open beta website are part of the Treasury Department’s efforts to implement the Digital Accountability and Transparency Act of 2014, known as the DATA Act. 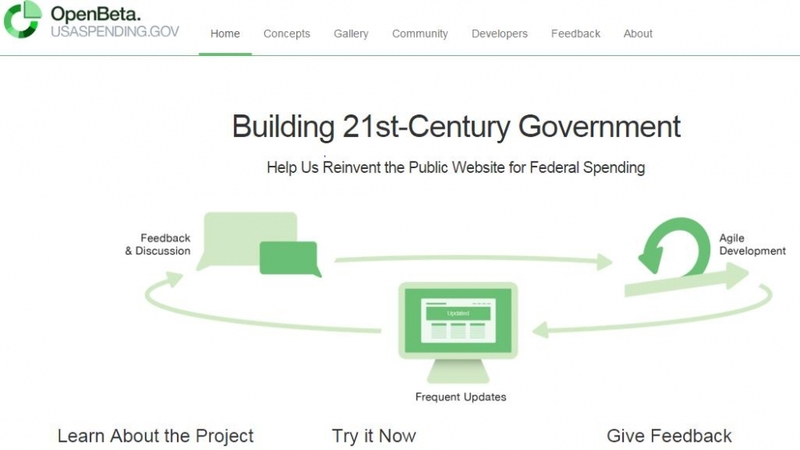 “The new OpenBeta.USAspending.gov provides a unique opportunity for the public to review, test, and provide feedback on data display and search functionality components that will inform Treasury’s efforts to support the needs of data users,” according to Lebryk, who added that the Treasury Department will add new features and functionalities for the public to review on a rolling basis. According to USAspending.gov, the website provides prime recipient transaction data reported by any federal agency that issues contracts, grants, loans, and other financial assistance awards. • Regular updates to keep data most current. The Project on Government Oversight (POGO), a nonpartisan independent government watchdog, said USASpending.gov falls short in a number of ways. POGO argued in 2013 that the site lacks enough data on local spending and that data reported on the site does not always match the data reported by the federal agencies and programs using the funds. A 2014 report by the General Accountability Office found that federal guidance on what data should be reported is sometimes unclear. Below is a graphic found on the open beta website. Diana Manos is a MeriTalk contributing writer.